This blog post is being jointly posted on Dr. Steve Bickmore’s YA Wednesday blog. Dr. Bickmore, a former colleague at LSU and a close friend, is an associate professor at the University of Nevada Las Vegas. He has a passion for and scholarly expertise in Young Adult literature. The driver studied Jesse from head to toe . . . ‘Well, that won’t happen anymore,’ the driver said. 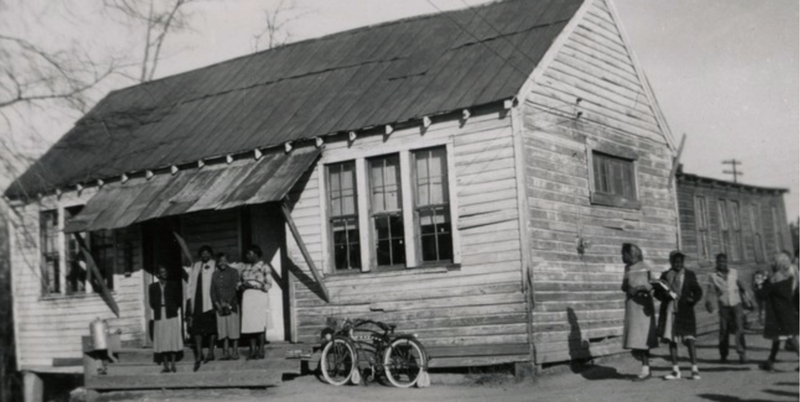 If this rural southern Mississippi school bus story sounds familiar, it might be because of the striking parallels to be found in Roll of Thunder, Hear My Cry (ROT) by Mildred D. Taylor. In ROT, a menacing school bus torments the Logan children (pp. 12-15 & pp. 47-49) followed by sweet revenge (pp. 49-56). This is not to suggest that the former historical incident inspired the latter dramatic rendering. Rather, it is to recognize the credibility of the ROT’s historical infrastructure. In case you have not read ROT, the story is about the Logan family during the Great Depression (1933) as told by one of the four children, Cassie. As an African American family living in rural Mississippi, the Logans confront the jarring inequalities of a racially segregated society. For the reader of history and historical fiction, this inventory provides a treasure trove of evidence that “separate educational facilities [we]re inherently unequal.” While not all the inventory has been digitized (i.e., Jefferson Davis County’s school photographs are viewable only by traveling to MDAH in Jackson), enough county inventories are available digitally for teachers and students alike to view the obvious and disturbing disparites. The historical reality is Mississippi did not begin issuing free public school textbooks until 1940. However, individual school districts in the state did have the latitude to provide free school books pre-1940. Keep in mind, for most states the issuance of school textbooks—free of charge—began in earnest in the early to mid-twentieth century; this development was preceded and necessitated by compulsory school attendance laws. In summary, ROT presents schooling in Depression Era Mississippi in a historically credible manner, which could readily serve as a representative example of the evils of Jim Crow for the nation at large. Furthermore, these intersections of fiction and reality provide ELA and Social Studies teachers and their students with rich opportunities for cross curricular teaching and learning. The Lesson Launch welcomes your comments, feedback, and suggestions! For more information about this Lesson Launch blog post, or if you are interested in arranging professional development or a speaking engagement, please contact the author at: theringoftruth@outlook.com.